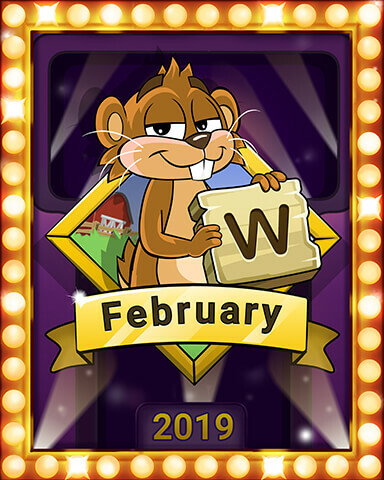 Pogo has named Word Whomp HD the Game of the Month for February, with Pogo_Spike gifting every Club Pogo member the four Game of the Month challenges. To get your badges and get started, open your gifts and then activate the badges. 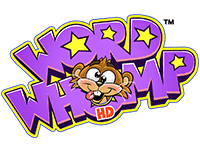 If you need a little help with Word Whomp HD: don’t fret! We’ve got everything you need right here. 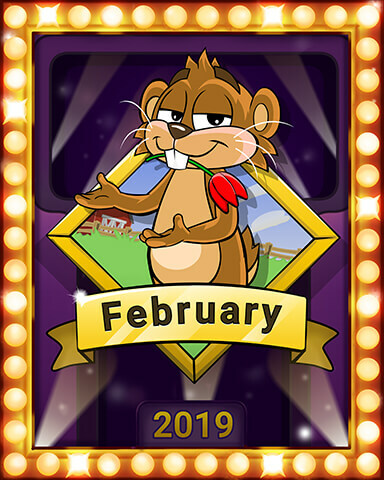 If you complete all 4 badges before 11:59pm PDT on February 28, 2019, you’ll earn a bonus Game of the Month badge. Pogo has said the bonus badge will be awarded shortly after the end of February. 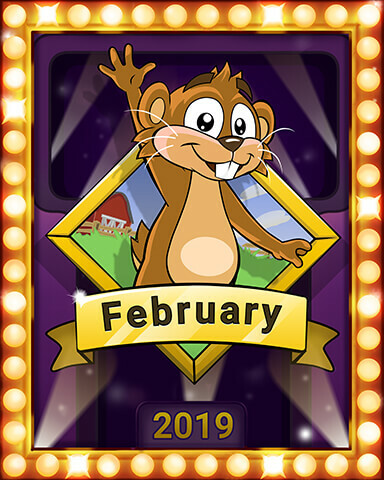 If you don’t complete all four before 11:59pm PDT on February 28, 2019, it’s okay — the four free badges are yours to keep and work on at your own pace. Find 40 5-letter words in 2 weeks! Win 35 games in 3 weeks! Find 100 words that start with a vowel in 4 weeks! Find 1,000 words in 5 weeks! 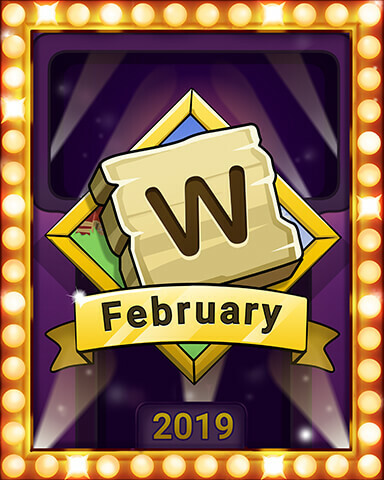 What are your thoughts on Word Whomp HD as February’s Game of the Month and this new format? Let us know in a comment below. I like this game. These badges will take time, but we have a month. I completed all 4 of the Whomp badges this morning and did not get a “special badge” as stated on Pogo’s home page. Will that come later maybe? Just curious. Thanks, Lura, I found this answer later – did not know where to look. Sorry to be a pain, but sometimes I just don’t know where to look for things. I am not into gems, tourneys, other things. I mostly don’t hunt for the “where to find” things. Perhaps Pogo’s heard our gripes about boring badge art? these are some cute badge for the game of month …. congrats Renee Allen any tips ? Kathy, I just sat and played until it was all over, lol. No tips other than when you get the big word that lets you win a game, hit “new game”. As for the 5-letter words, keep hitting “new game” until you see if you can fill those in and eventually, it’ll be all done. GL. These are really cute! And I like the game, so winning them should not be too hard. LOVE word games, this is one I will have fun playing…Thank you Pogo. I dislike any border around any badge because it always obscures the badge art to some extent. However, I guess it doesn’t really matter in this instance becuase pogo did not use the original Nestor image. Shame on you pogo! I do enjoy that word whomp is the gotm. p.s. I don’t see why pogo can’t just award the bonus badge when you complete all 4 of the gotm badges just like when you complete a pba album. Exactly. Now we have to wait till the end of the month, lol. It’s like waiting on your tax return, LOL. For me, Word Whomp works best on Chrome. Kudos to the Pogo team for the artwork!! Love them all. WH is one of my favorite games. Why does pogo / EA make the games of the month the most current HD connection games ? I’d like to see them add more ranks to a lot of other games rather then updating the current HD games. The old games will be going away/becoming unplayable in a year or so, when flash and java will no longer be supported. It doesn’t make sense for Pogo to invest time, money and effort into an asset that is in the last stages of its life. Am I missing something or are the dates for completion different for each of these? It seems that the first one must be completed in 2 weeks then each one is a week later. The old Word Whomp was my favorite game. I enjoy the challenge of Word Whomp HD & the four new badges, but the game is so very slow. I can be ready to type the next word before the word I just typed even appears on the screen! I surely hope POGO/EA can tweak the game to speed it up. That would be such a welcome improvement. Happy weekend all! Of all Pogo, I hate playing Word Whomp HD! But to get the badges, I have to play it. But, I use an app on my smartphone called Unscramble. Now I can get through this dread of a game quickly. Taffy, I assume you mean 1 disappeared, so load Word Whomp, click on the “Challenges” tab and scroll down the page to the Mnm badges they are all sitting there together. Good luck. That’s the easiest way to find the badges for a game, the badges are all shown there. Finally had time to check my Special Edition Badges and found the Treasure Chase Getaway Badge for doing the GOTM. Very nice artwork and glad to have it in my collection. The completion badge was given out overnight, and it’s adorable. Make sure you watch the animation. The name of the badge is “Winter Whomp Victory Badge”.